Dr. Katrice Albert, a 2002 Ph.D. graduate from the College of Education’s counseling psychology program, is a 2015 Minneapolis St. Paul Business Journal Diversity in Business award winner. Dr. Albert presently serves as the VP for Equity and Diversity at the University of Minnesota. 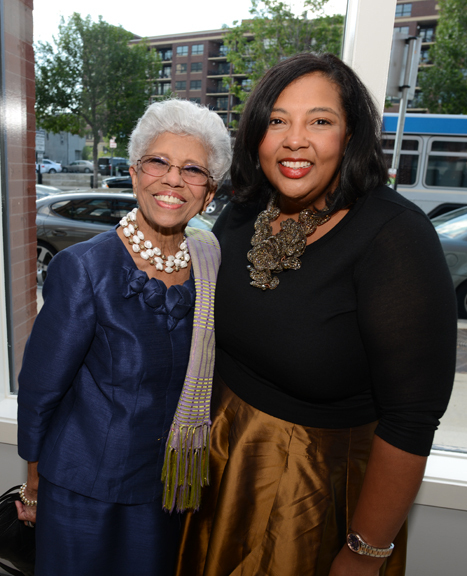 She is pictured here with Dr. Josie R. Johnson, who is a social justice advocate and served as a delegate for the State of Minnesota at the March on Washington. Johnson was the first University of Minnesota American Board of Regents Member in the 1970s, among numerous other groundbreaking activities. The Minneapolis/St. Paul Business Journal featured Dr. Albert and her career. .